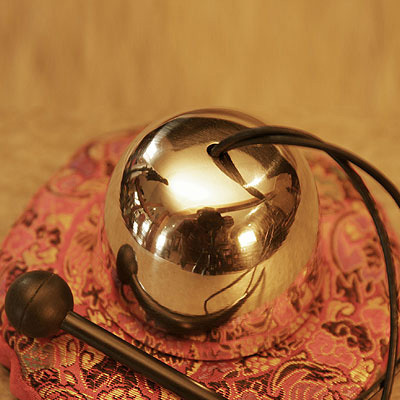 The closed shape and high weight of this newly developed Zen Bell makes for a concentrated and long lasting sound. The bell is especially suited for the third eye. Zen Bell does not include cushion and mallet shown.